In the Greek Orthodox Church, name days are an important tradition. 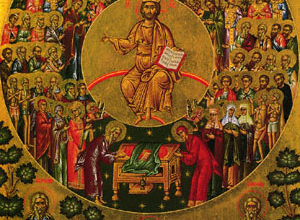 The vast majority of Orthodox Christians have been named after the saints and because of that, they celebrate their name days. 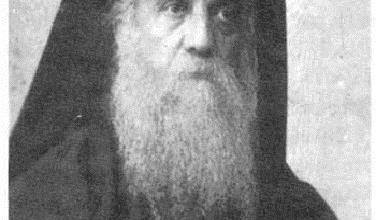 In some Orthodox countries, such as Greece, a greater importance is placed on the name days than the individual’s birthday. This shows how important the lives of the saints are to Orthodox Christianity. 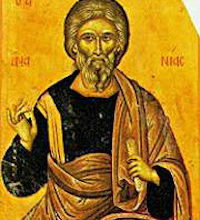 Saint Simeon (Symeon), is referred to by his longer name of the Apostle and Hieromartyr Symeon the Kinsman of the Lord. This title reflects exactly how he served the Lord. 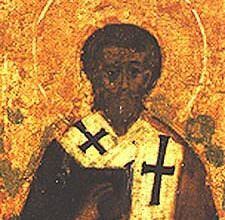 He eventually became a bishop in the early Christian church, and he was martyred during his time as a bishop. He is officially listed as the second bishop of Jerusalem. In the church hierarchy, Saint James is listed as the First Bishop, and Saint Simeon is always listed as the second in line. In other words, he was Saint James’ successor. James was martyred some time around 70 A.D. and Simeon took over the position sometime after that. 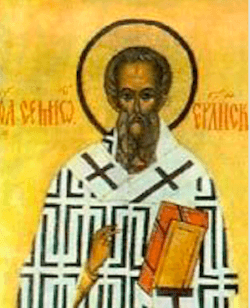 Eventually, martyrdom would be Simeon’s fate, as well. However, at the time, Simeon, who was a contemporary to James, managed to avoid getting killed during the time when James was martyred. Instead, he led many of the Christians to safety. It is unknown exactly when Saint Simeon was born, but we do know that it was in the 1st Century A.D. He was born in Galilee, which was part of Judea, and died somewhere in between 107 A.D and 117 A.D as a martyr. Therefore, we know that he had to be born sometime in that first Century. Through your prayers we receive forgiveness of sins. Rejoice, O precious crown of the martyrs! You were ordained to the throne of Zion below. Saint Simeon’s name day is on April 24th of each year and he is also honored on January 4th with the rest of the . Visit the Name Day page for more information about other Orthodox Christian name days.